Colorado State of Mind, and Colorado Quarterly are examples of two outstanding community affair programs on Rocky Mountain PBS that address pressing issues affecting all Coloradans. 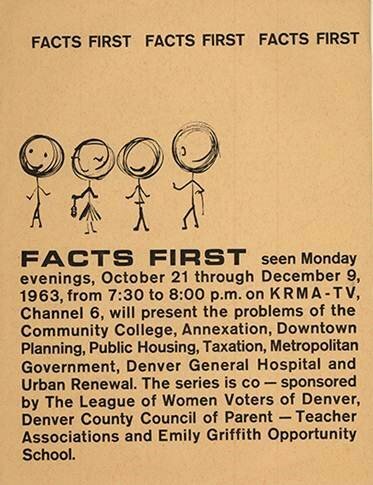 Rocky Mountain PBS’ focus on keeping Colorado citizens informed is rooted all the way back to October 5, 1959 when KRMA premiered its new civic and community affairs program known as “Facts First.” Its four-year run (1959-1963) was co-sponsored by KRMA, Denver County Council of Parent Teacher Associations, Emily Griffith Opportunity School and the Adult Education Council. Facts First was aired live with a half-hour panel discussion amongst guest speakers who were authorities on the week’s designated topic. The program was presented before a live studio audience at the Glenarm Street studios in Denver. Upcoming topics were released prior to every Fall season. 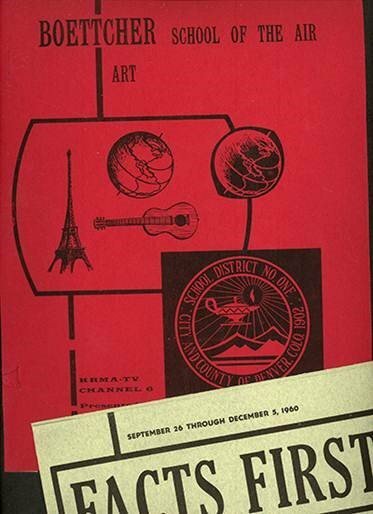 To ensure a lively dialog, citizen groups were developed around Denver specifically to view and discuss the weekly program as it aired. People interested in participating in a discussion group could submit a request form to KRMA’s Adult Education Council to ask to join an existing group or to organize a new group. 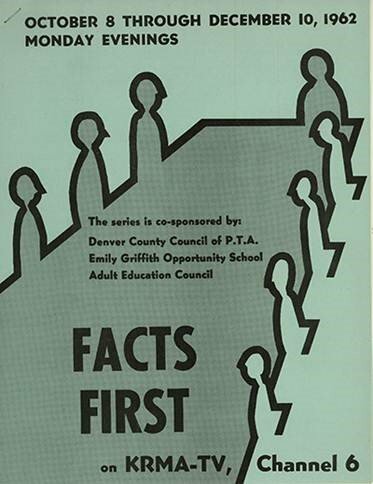 Each program had a unique interactive two-part format: The first part of each program consisted of the panel discussion that aired from 7:30-8:00 pm. 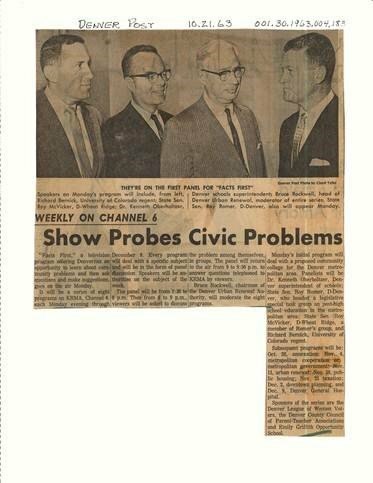 For an hour between the first and second parts of each program (8-9 pm), viewers discussed the evening’s topic and were encouraged to call the station with specific questions for the panelists. The panelists would then return to the air at 9:00 pm to answer the questions telephoned to them from KRMA viewers. Are Our Courts Too Lenient? Political Parties: Which Party and Why? United Fund: Is It Obsolete? 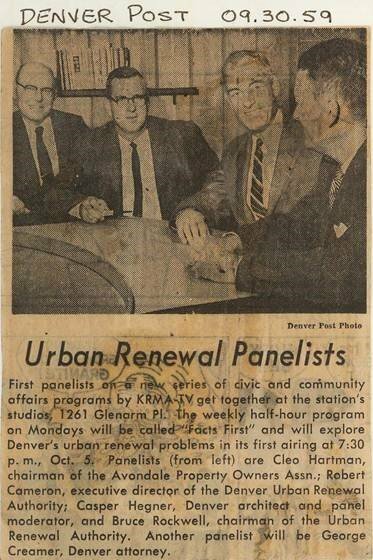 Thanks to the Rocky Mountain PBS volunteers working to preserve the station’s history, articles and numerous memorabilia items from “Facts First” have been preserved that reference this innovative 1959-1964 KRMA-TV production.